Bulgaria's government will start to restore the fence along the Bulgarian Turkish border, which existed in the Cold War period, as a measure against the spread of food-and-mouth disease (FMD). This was announced on Tuesday by Bulgaria's Agriculture Minister Miroslav Naydenov in the village of Rezovo in Bulgaria's southeasternmost corner, where the Bulgarian authorities localized a second outbreak of FMD, in addition to the cases in the nearby village of Kosti in the Burgas District. Naydenov stated that he has already had talks with Prime Minister Boyko Borisov, who has approved the measure, and that the government will used money from the state budget to start rebuilding the old barbed wire fence. The project is to be discussed with the District Governor of Burgas Konstantin Grebenarov, and the restoration of the fence is supposed to start as soon as the authorities eliminate the cases of FMD in Rezovo. Naydenov said the holders of local hunting tourism estates will not be compensated for any losses from the FMD spread, unlike the owners of domestic animals slaughtered to contain the outbreak of FMD. On Monday, the Head of State Veterinary Public Health Control Directorate Yordan Voynov argued that the border fence is the only way to prevent FMD-infected animals from Turkey from crossing into Bulgaria. He said that some 29 km of the 143 km Bulgarian-Turkish border are currently covered with a fence, and that cost for the rest may be initially paid by the state budget and subsequently reimbursed by the EU. Also on Monday, experts from Brussels visited Bulgaria over the spread of FDM. Some of the results from the FDM tests from animals in the village of Rezovo, which is near Bulgaria's border with Turkey, have turned out positive. Around 200 cows, sheep and pigs will be slaughtered. Their owners will be fully compensated. The FMD outbreak in Bulgaria started at the beginning of January after a wild boar, shot by hunters near the Turkish border at the end of 2010 in Bulgaria, tested positive. The EU implemented urgent protection measures. 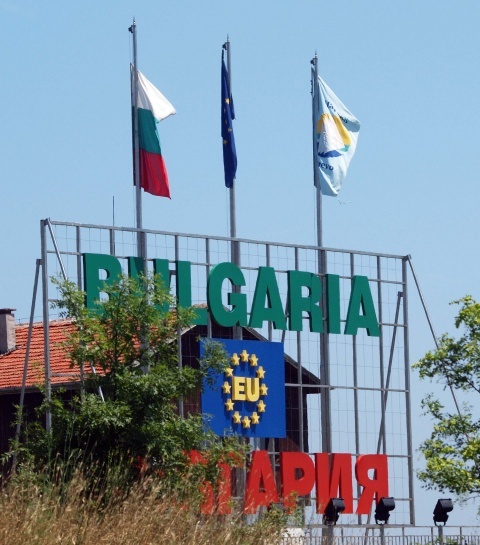 The Commission has vowed to help out Bulgaria with compensations for the losses by covering the maximum amount allowed under EU law, 60%, arguing that as an external EU border, Bulgaria is serving as a buffer to the spread of contaminations such as FMD. In the Cold War period the Bulgarian-Turkish border was a border between the Soviet-dominated Warsaw Pact and NATO, and as such was one of the most-heavily fortified borders in Europe. Since the early 1990s, Bulgaria has torn down its border fortifications and has ever dismissed its Third Army, which was deployed in the area.